Vera Mae (Cherry) Meadows, 90, of Moody, Missouri departed this life on Sunday, July 22, 2018 in Salem, Arkansas. She was born to the late Ralph E. Cherry and Esther Hannah (Day) Cherry on October 16, 1927 in Cornland, Illinois. Vera was united in marriage to Eugene E. Meadows on November 28, 1947 in Lincoln, Illinois. Vera spent most of her life on the family farm in Cornland, Illinois. She was a wonderful cook, loved children, and enjoyed fishing. She was a member of the Cornland Chirstian Church in Cornland, Illinois. She was a loving daughter, sister, wife, mother, grandmother, great grandmother and aunt. She leaves to mourn her passing; daughter, Jean Guffey and husband Mike of Moody, Missouri; two grandchildren, Hannah Renfrow-Smith of West Plains, Missouri and Joshua Gullion of Harrison, Arkansas; four great grandchildren, Jaxon Renfrow, Coby Gullion, Jarrett Renfrow, and Jordan Smith; two nieces, Vera Thomas of Lincoln, Illinois and Mary Thomas George of Lincoln, Illinois; other relatives and friends. She is preceded in death by her husband (Eugene Meadows), parents, sister (Louise Thomas) and two nephews (Floyd Thomas and Larry Thomas). 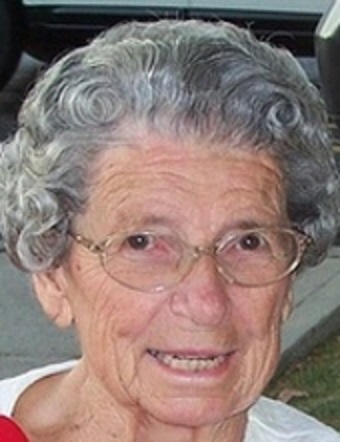 Services for Vera will be held at 11:00a.m. on Friday, July 27, 2018 at Mt. Pulaski Christian Church in Mt. Pulaski. Visitation will be held two hours prior to the service (9:00-11:00a.m.) also at the church. Burial will follow the services at Mt. Pulaski Cemetery. Memorial donations may be made in Vera’s name to St. Jude Children’s Hospital or The Parkinson’s Research Foundation. Services have been entrusted to Fricke-Calvert-Schrader Funeral Home, Mt. Pulaski.